1. Maui Ocean Center – This is one of the best things to do in Maui. Enjoy learning about the hundreds of marine life in over sixty exhibits including tropical fish, turtles and manta rays. 2. Dolphin Swim – This is a great adventure for the entire family. They will enjoy interacting with these gentle creatures as they swim and frolic. 3. Shark Swim – Enjoy getting up close and personal with sharks in a shark cage. Observe these intimidating creatures in complete safety. 4. Helicopter Rides – This is one of the best things to do in Kona, Hawaii and a great way to view the island. Enjoy amazing views of vistas, volcanoes and waterfalls. 5. Hike up to Diamond Head – This is a great adventure for the more experienced hikers. Hike up the rough terrain. 6. Luau – No trip to Hawaii is complete without enjoying a traditional Luau including entertainment, delicious traditional cuisine and dancing. 7. Explore Craters on Maui – Maui was formed by two volcanoes. Haleakala is an active volcano although it has not erupted since 1790. Take a tour bus up the winding roads to enjoy the magnificent views “in the clouds” at the top. 8. Snorkeling – Enjoy observing tropical fish, aquatic plants and coral while snorkeling in the warm waters. No matter where you are in Hawaii, this is truly one of the most popular things to do in Hawaii. 9. Walk on the Lava Flow on Kilauea – this is the most active volcano in the world and its constantly flowing lava is the cause of the ever changing island coastline of the Big Island. 10. Surf Lessons – If you are looking for fun things to do in Kauai, this is one of the most popular. 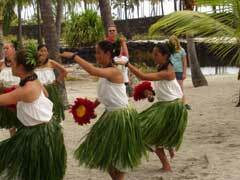 Whichever of these great fun things to do in Hawaii you choose while in port from your cruise, you are sure to enjoy the culture and traditions of Hawaiian culture.